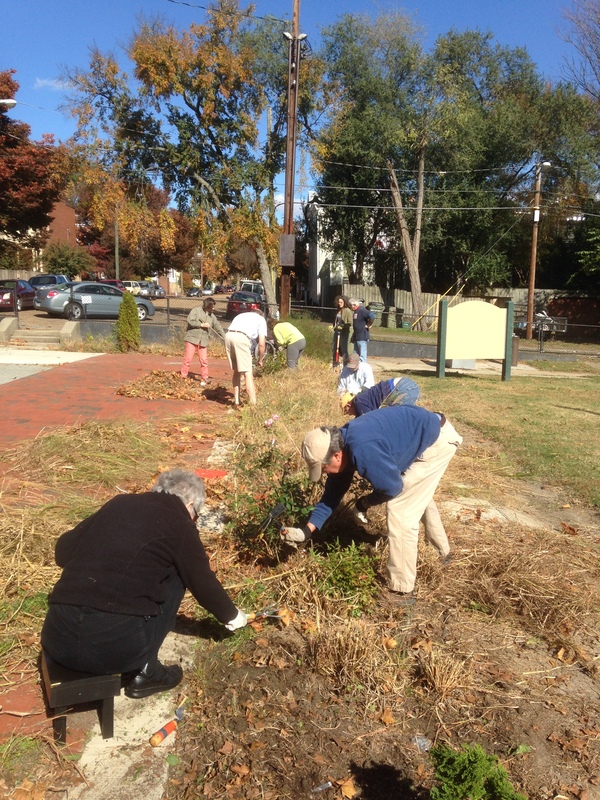 Boulefrogs worked on Nov. 3 to clean up the planting beds surrounding the central plaza of the playground. 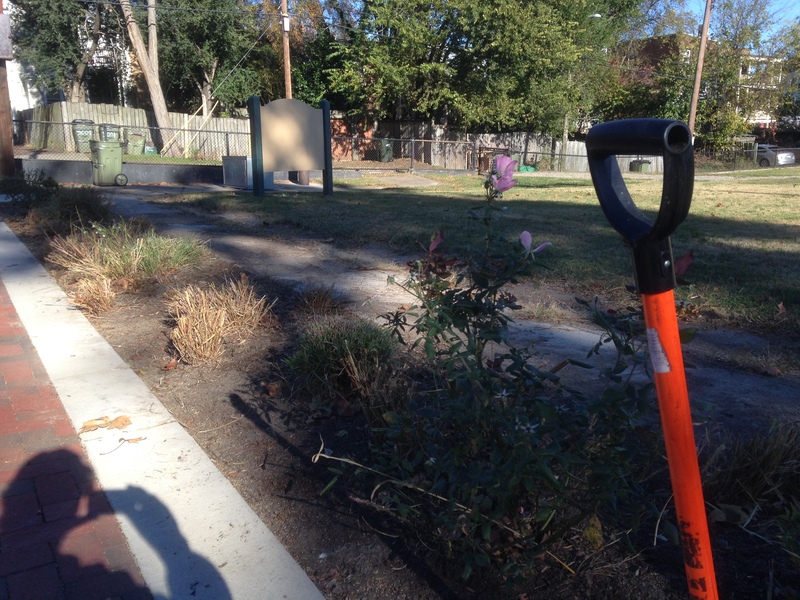 It’s up to those of us who use the playground to keep things looking nice, since the city isn’t responsible for things like that. Who knew there were roses among those weeds?